The Sponsorship Liaison Office is responsible for coordinating between external sponsoring organizations and the students they sponsor at our university. We plan, develop and administer the sponsorship program and provide support to eligible students enrolled at AUS. Interested applicants must approach the sponsoring organizations directly. Once a scholarship has been granted, the applicant must complete all admission formalities by the deadline specified. We are happy to assist applicants with the formalities involved. Maintain the required semester minimum GPA as set by the sponsor. Maintain the required minimum cumulative GPA as set by the sponsor. Register for the compulsory number of courses each semester as required by the sponsor. Agree and commit to the program/major approved by the sponsor. Agree and commit to the terms and conditions of the employment contract, if required. Complete the graduation requirements within the period specified by the sponsor. Financial support is set by the sponsor. For more information about your sponsorship options and requirements, please contact your sponsor directly. You must read all received emails from the sponsoring organization and the Sponsorship Liaison Office and respond to all communication from both entities in a timely manner. You must adhere to the sponsoring organization's terms and conditions as stated in the contract in order to retain the sponsorship. You must obtain prior approval from the sponsor before making any changes to your academic status at AUS. You must notify the sponsor in case you plan to withdraw from the program, or withdraw from any of the registered courses. 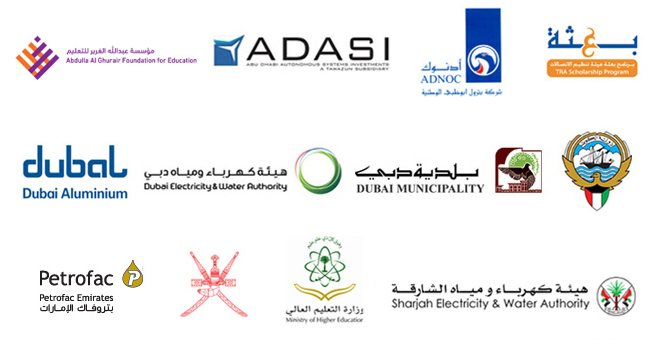 We are committed to enabling partnerships that prove mutually beneficial to both the sponsors as well as the students. We are proud to have some of the most successful organizations as partners in our endeavor to ensure that talented and qualified students receive the quality education they deserve. We also welcome new organizations and entities seeking to sponsor potential AUS students and supporting them in their academic journey.